It seems real estate on our islands is moving nicely and at a slightly faster pace than this period last year, and our inventory of properties continues to be low. We are starting to see some price appreciation in some categories, however with the small numbers one high price or one low price can skew the averages. If you would like to discuss the findings and how they affect your buying an Island property, or affect your timing to list your Island property, I would love to set up a time to talk. Let’s take a look and see what’s going on. April 1st for 2013 and 2014. Currently on Sanibel we have 192 homes listed, 139 condos and 90 homesites. Currently on Captiva we have 47 homes listed, 43 condos and 5 homesites. 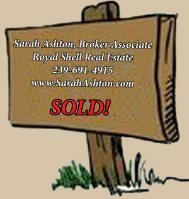 Contact Me Today for more information about property listings on our islands! I know we can find the perfect property for you!